The Division of Gastrointestinal/Liver Pathology was one of the first and is perhaps the longest standing Gastrointestinal/Liver Pathology Division in the country. The Division has an extraordinarily rich history of creative research, diagnostic excellence, and quality fellow, resident and medical student education. In many ways, the Division is a microcosm of the breadth and depth of excellence in the broader Department. This Web site provides a brief introduction to the fellowship training programs, CME courses, disease oriented Web sites and faculty in the Division. The clinical service is directed by Dr. Elizabeth Montgomery. 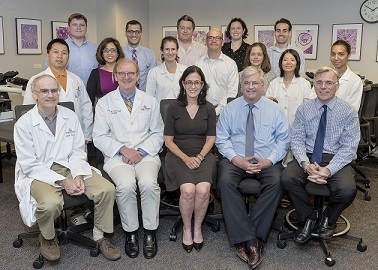 The Division is proud of the diagnostic excellence of its faculty in tubular GI, liver and pancreas pathology. For more information on how to submit a case for consultation, click here. In addition, this site provides information on how to support the John H. Yardley Fellowship. Please feel free to email jeshlem@jhmi.edu if you have any questions or suggestions.